Here are the details of the Battlefield 1 Update 10242016. Unless specifically noted, these updates apply to all platforms. Fix for one common and one uncommon client crash. Fixed a potential soft freeze in single player campaign connected to AI. Fixed an issue where players experienced getting stuck in the globe screen when cancelling matchmaking. Fixed an issue when trying to join multiple servers. Fixed an issue where players experienced weapon skins not being removed when scrapping items. Fixed an issue where players were missing “The Insider” Dog Tag. Tweaked calculations of values in End of Round. Fixed issue where Class Rank was incorrect. Note: This fix may result in players going down in Class Rank to the correct rank. In this scenario, any unlocks purchased at a higher and incorrect rank will not be lost. PC: Fixed an occasional crash when a user shutdown the game. PC: Fixed an issue where players experienced troubles with A and X button functionality on PC while using an Xbox One controller. PC: Fixed an issue where players experienced crashing while closing the client during streaming installation. 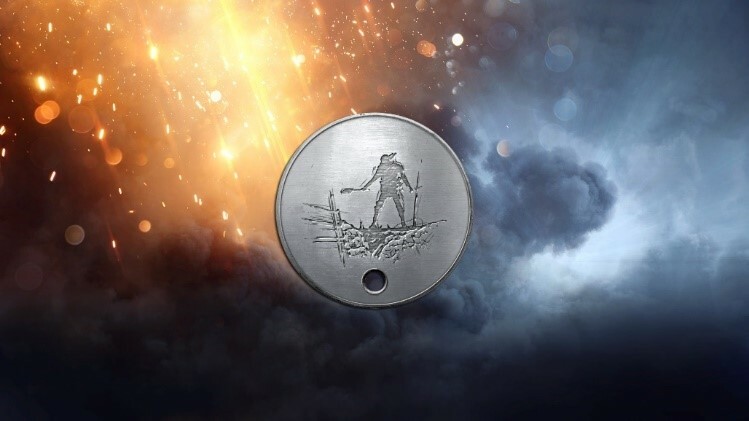 Xbox One: Fix for the "Trench Raider" Dog Tag not unlocking on Xbox One. Fixed two issues in the “Through Mud and Blood” War Story where no new objectives would appear. Fixed an issue where players experienced wrong info in loading screen. Fixed an issue where players were missing the Dog Tag counter. Fixed an issue where English text would appear for players in non-English regions. Fixed an issue where players experienced a placeholder image when opening the Operations menu for the first time. PC: Fixed an issue where players were missing an option to display controller button prompts. Fixed an issue where players experienced End of Round screen not loading. Fixed a crash related to soldier animation. Fixed a graphical glitch when exiting a War Story and going to the main menu. Fixed an issue where players experienced player icon overlapping while matchmaking on console. PC: Temporal anti-aliasing is now the default anti-aliasing mode on medium graphics quality. PC: Fix for a graphical issue causing artifacts in shadows.